UAE and South Africa Wednesday signed extradition and justice collaboration treaties in a move that will allow Pretoria to achieve the return of the Guptas; business tycoons marred in corruption scandals. Ministers of Justice of the two countries, Sultan Saeed Al Badi and Michael Masutha inked the deals in the Emirati capital, Abu Dhabi. “The treaties will enable the two countries to assist each other in the investigation and prosecution of crimes through mutual legal assistance and the extradition of fugitives,” the South African government said in a statement. The African country wants UAE to extradite one of Gupta brothers; Ajay, who lives in Dubai and is wanted in South Africa in a graft probe. The South African police declared the businessman as “fugitive from Justice”. The Gupta brothers known for their influence on the economy and politics of South Africa, have been under investigation for alleged corruption under former leader Jacob Zuma who was forced to relinquish power in February this year over widespread corruption during his nine-year tenure. 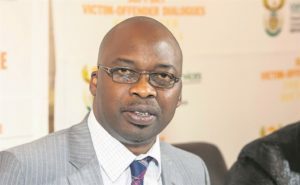 A former minister, a government and ex-ANC lawmaker have given damning testimonies against the Guptas at the inquiry, reports say. According to The New Arab, two of the brothers have offered to answer the allegations but on condition they give their evidence from Dubai via video link because they feared being arrested if they returned home. Deputy Chief Justice Raymond Zondo, who heads the probe commission, has turned down the request to comply with the investigation from abroad. In April, UAE authorities arrested a South African man after he filmed Ajay Gupta in Dubai and posted the clip on social media. He was freed a few hours later, The new Arab reports.